Story Contest 2017 #2 : Other than the winning entries, our judges found some stories to be of very good quality, though they did not quite make it into the best three. These highly commended stories were written by the following authors. We congratulate them also, since their stories show promise and talent. 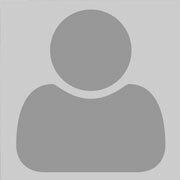 Story Title: Winning isn’t all! Pragathi, nine years old is an Indian living in England. Next year she would like to join for Junior Bake Off because she loves baking. She is mischievous and naughty but she is also a quick learner. Her ambition is to be a baker or an author who will be famous like Enid Blyton or Roald Dahl. She dreams to be famous one day. 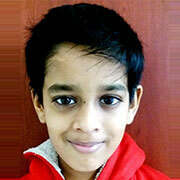 Viraj is a 4th standard student of Mount Litera Zee School, Vidyaranyapura Branch, Bangalore, India. His favorite games are Cricket and Chess. His hobbies include drawing, coloring, making paper rockets, reading stories, narrating stories to his mother, watching comedy movies, cartoons and sports in T V. He loves helping his parents a lot. He aspires to become a great cricketer, an actor as well as a chess champion. Moreover he likes to learn Taekwondo and Theatre acting in school. He not only participates in environment painting and drawing competitions but also likes to water plants and trees. Gabriel Wood is going into the fourth grade. He reads obsessively and is trying his hand at origami. He plans to be an inventor when he grows up. A resident of Mumbai, India, full of life and zest, Aliya loves to sing, dance and immerse herself in the world of stories that she fondly reads endlessly. Just moved into the 4th grade in Ecole Mondiale World School, she has been super excited to end her holidays and re-group with her friends. As an early reader, Ally (as she prefers being called) has taken a keen liking to the world of books from a very young age of 3 and is constantly imagining the stories she reads. Being a keen observer, Ally keeps note of all interesting details she experiences daily and weaves them into her stories. She does hope her stories spark the same sense of adventure and excitement that she has experienced in every reader of her book. Adrika Ghosh was born on 24th April, 2010 to Mr. Amit Ghosh and Mrs. Anindita Ghosh. She loves her parents very much. 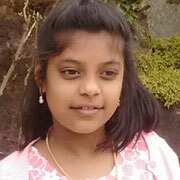 She is in class III at G.D. Birla Centre for Education and has many friends at school. Her favourite hobby is to read science as she wants to be a scientist. She loves reading story books and has read books like Aesop Fables, Grimm’s’ Fairy Tales, Ramayana, and Mahabharata and Amar Chitra Katha – some books based on mythology & history of India. Besides reading, she also plays cricket, works out karate & watches educational videos on the internet. 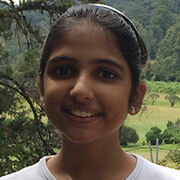 Anchita is a grade 6 student at Global Indian International School, Queenstown, Singapore. She loves reading as well as painting. She has been learning Bharatanatyam (Indian classical dance) for four years and had given various performances. Maths and science are her favourite subjects. She loves her school and her teachers a lot. She holds the post of head innovation in the primary school student council. She also wants to do something for the less fortunate kids and bring a smile on everybody's face. She believes in forgiveness and wants to make this word a better place for everyone. 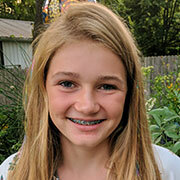 Daphne Parker is a 7th grader at River Valley Middle School in Marion, Ohio. She enjoys playing with her dogs, Buttercup and Copper, and making wreaths to raise money for charity. She runs cross country and likes to water ski. 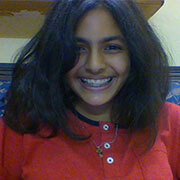 Disha Yadav is a 12 year old girl who enjoys playing basketball, drawing, painting, and goofing around. She enjoys writing from time to time with different types of stories. She also likes to dance and act in plays. Her favorite subject is science in biology. She hopes to be a doctor when she is older so that she can make a difference in someone’s life. Story Title: Whatever Happened to Mrs. Morrison? Poem is eleven and a native Californian. She writes, draws, and occasionally dabbles in studying if she is feeling particularly motivated. She is fluent in French, and also trying her hand at Spanish. Currently she is in the process of editing her first novel. She hopes that one day she achieves literary greatness. Rebecca O'Brien is 11 years old and lives in Paris with her mother, father, two sisters (Oona and Kerenza) and brother (Oscar). She is the youngest in the family. Her father is Irish and her mother French so at home she speaks French and English. Soon she will be entering a bilingual secondary school called Honoré de Balzac. At school, she often had to do creative writing (which she loves) and she always had a lot of inspiration. As well as writing, she also loves reading and always tries to find a moment to open a book. Myrah Raj, 11 years old is a class 7 student from Army Public School, RK Puram. 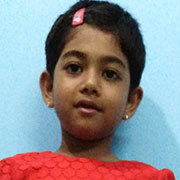 She lives with her mother and father in Secunderabad. 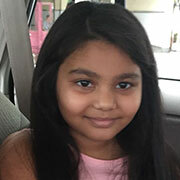 Myrah is extremely passionate about reading and writing and hopes to grow up to be an author. Her favorite authors are JK Rowling and Antoine de Saint Exupery. She loves dogs as much as she loves reading. She also likes to travel. At present Myrah is writing a novel and a few short stories. 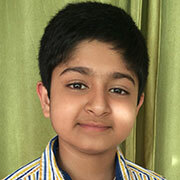 Adyut is a class seven student at Chapslee School, Shimla. 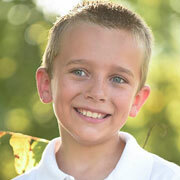 An avid reader since the age of five years, he loves to read and re read books. A keen musician, he enjoys playing the keyboard and is trying his luck with strings at the moment. He enjoys writing adventure stories and adding his own punch lines to those already penned. Music and books are his true companions. 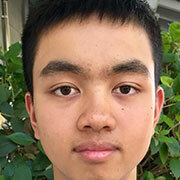 Derek is a sophomore at Wilcox High School in Santa Clara, California, United States. His academic goal is to earn a doctorate degree in biochemistry, a career in which one develops cures and fights disease. In this part of the medical field, he’ll be able to help young adults with their medical needs. During his leisure time, he likes to read books such as those from Tom Clancy, John Gray, and Bill O’ Reilly. Additionally, he enjoys hiking, walking, and biking—which too, are his favorite hobbies. He is practicing very hard for the SAT, studying in both the math and reading sections. During his endeavor, he learned many valuable lessons and one of them is in his story, “Isaac’s Question”. 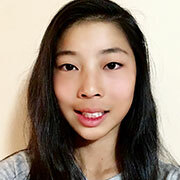 Michelle Wang is a gifted grade 8 student currently going to Charles Howitt Public School. 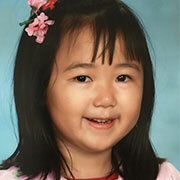 She resides in Richmond Hill, ON, Canada with three younger brothers. 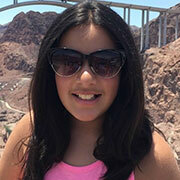 She loves to write and create, and has always dreamed of becoming an author and an engineer. 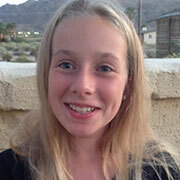 She enjoys leading a team, and aspires to be a great leader when she grows up. Michelle also loves little kids, helping them learn and watching them laugh. Story Title: I partied with the Stars! 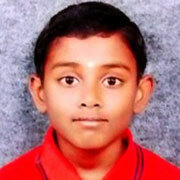 Pooja Rakesh is a 13 year old studying in VIII Standard at Chinmaya Vidyalaya, Vaduthala, Ernakulam. Apart from her studies, she loves sports - especially basketball and badminton. She also practices the two sports regularly. She likes reading and creative writing. Ruskin Bond and Roald Dahl are her favourite authors. She has won a few prizes in writing and elocution contests. She also enjoys crafts and makes different craft items. 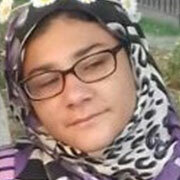 Maha Ali, fourteen years old, is an avid reader and keen writer. She loves socializing with friends and spending time with her cousins. She is a high achiever at school and loves helping others with their studies. Aside from school work and reading, Maha enjoys drawing, especially detailed motifs and zentangle. Some of her favorite authors are J. K. Rowling, Rick Riordan and Veronica Roth. We invite school students all over the world to join our next International Short Story Contest.